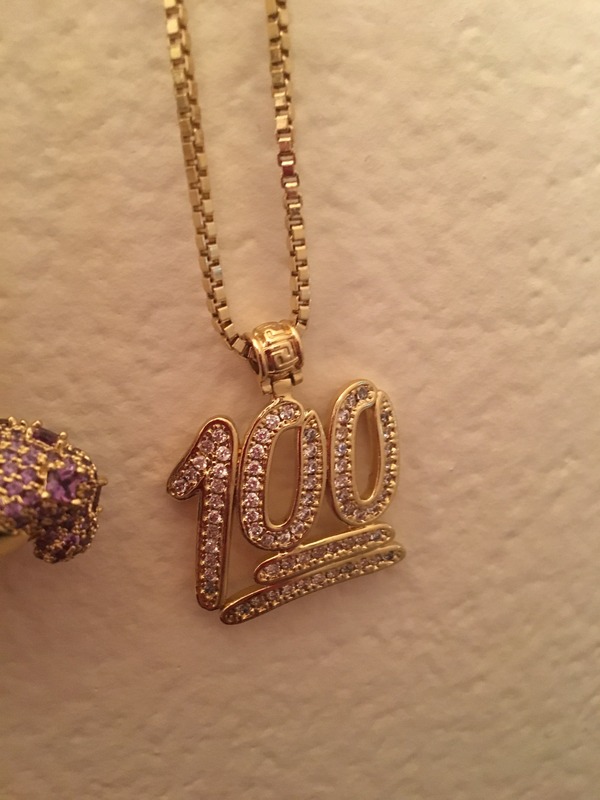 Made from solid brass and plated with 14K gold comes this CZ 100 Points Emoji Necklace. Inspired by perfect exam scores of 100 points, the symbol remains a popular mobile image. And now, you can signify your 100 perfect with this pendant that features clear CZ stones, held together on a micro pave setting. Does it come with a chain or is it just the pendant? It comes with the chain also! We are glad you like it Jonathan! We hope to do business with you again soon! Yo, is this really real or is it fake. I cannot tell the difference. I think its a good thing you can't tell the difference. But our products are finished with real 14k gold plating. But it isn't solid gold. Will the 100 pendant fit a 4mm rope chain? ?